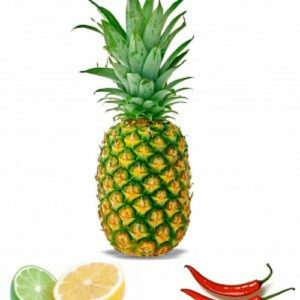 The intensity of heat in peppers is measured by the Scoville scale, which was developed by pharmacist Wilbur Lincoln Scoville in 1912. 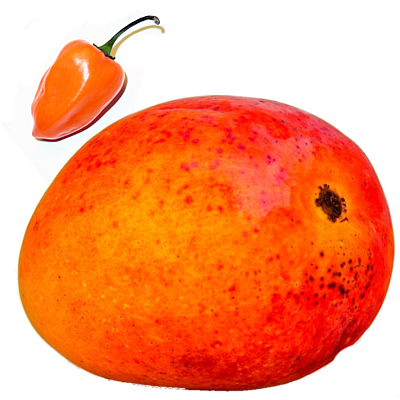 While a bell (sweet) pepper has a score of zero, pure capsaicin can surpass 15 million Scoville Heat Units (SHU)! 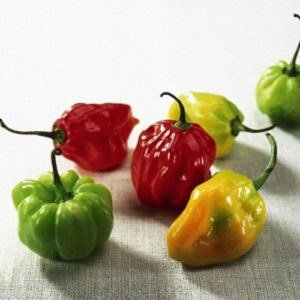 For comparison, jalapeno peppers range from 2,500 to 8,000 SHU while Scotch Bonnet peppers can be upwards of 350,000. 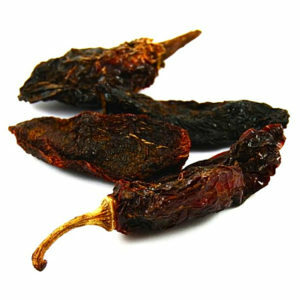 Ghost chilis, which are even hotter, have a potency of about 900,000 SHU. 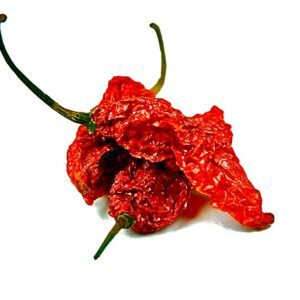 Personally, I’m a fan of spicy foods… but having grown three ghost pepper plants this past summer, I can confirm that they are indeed very hot. Read the Full Article with References Here. Mango, Habanero Peppers, Lemon & Lime Juice, Honey, Salt, Cane Juice, Carrot Juice, Shallots, Garlic, Onions.